Hi friends! 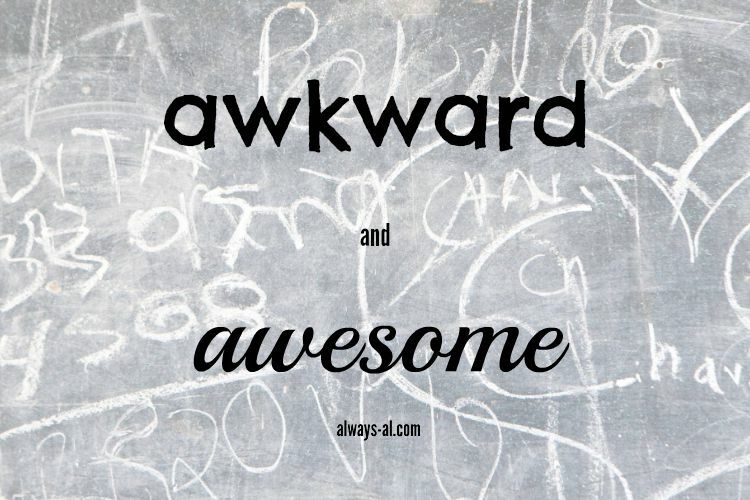 On this snowy Monday, I've decided to keep it simple, and do another installment of Awkward and Awesome. I love writing these posts, am thinking about making it a monthly thing. What do you think? I love that this type of posts give a little bit of look into my life, and talk about some of the good things going on over here. After all, every day should be a celebration. I was thinking about what to include on these lists, and found that some could be included on both lists. My life is weird sometimes. - I am at that point in my weight loss where I had to have my engagement ring re-sized (again). I was getting tired of it was bobbling around on my finger. - Winter Storm Jonas hit us this weekend, but I'm not really sure why it couldn't wait until today to begin. Snow days during the work week are so much better than during the weekend. - I just received a refillable KCup from Influenster (awesome! ), but when I went to use it I realized my Keurig is clogged. wah wah. - I am at that point in my weight loss where I had to have my engagement ring re-sized (again). But because it is going to be out for about three weeks, I bought myself a little placeholder so that I wouldn't feel naked. - Since we had so much ice from Jonas, we basically stayed in, ate snacks and drank wine all weekend. It was so flipping relaxing, and I don't feel bad at all about not getting anything crossed off my to-do list. - My workplace is hosting a craft beer night fundraiser on Thursday, and you bet that I signed Dave and me up to volunteer (free admission!). Some of the best local breweries in our area are going to be there, and I can't wait to taste the delicious brews they bring. - Because I live under a rock, I am just finding out about the 52 Week Blogger Challenge, hosted by Sarah Emily Blogs and Girl Talk Blog. So excited to join in with these girls for some Monday prompts! What are some of the awkward and awesome things going on in your life?